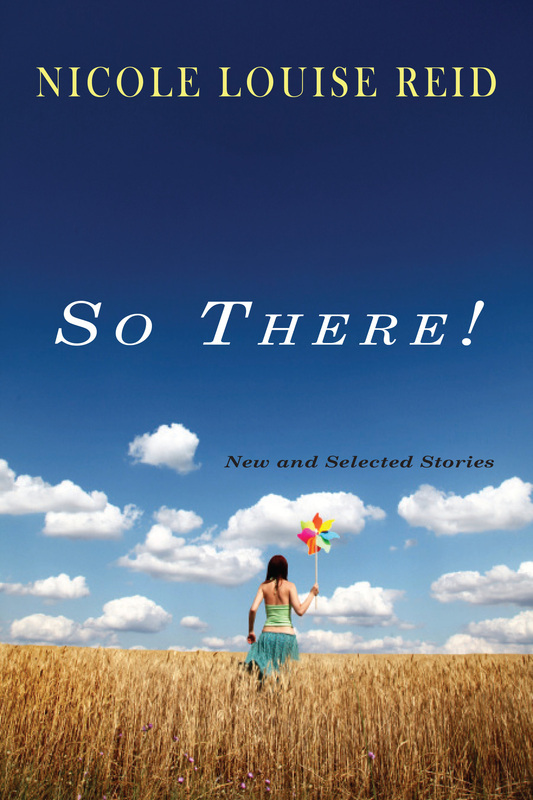 With the graceful lyricism of a musician’s ear for song, the nine stories of So There! inhabit the quiet spaces of heartache and the loud spaces of rage. Their landscapes hark back to the South of Reid’s first novel, In the Breeze of Passing Things, and form their own kind of topography of the human heart and all its many urges. Within the world of this collection, girls and women sidle the precipice of new lives, new selves. In “If You Must Know,” a young woman serves as host to a cicada and tries to recreate the bliss of her first sexual experience, the very moment when the insect chose to burrow in to her. “Pearl in a Pocket” is the story of young teen Vyla—one of at least thirteen sisters; some living, more miscarried—who longs to be loved but discovers just how powerless love can be. In “Glimpses of Underthings,” teen Agnes steals her father’s girlfriend’s underwear, aiming to seduce all the boys at school but without any follow-through. And in “So There,” a 15-year old girl recalls the rhythm of nights her father swung her around the Black Diamond Lounge while her mother stole dances with anyone and everyone else. The girls and women of these stories stand at the edge of rebirth ready to drink in their newness, undeniably aware that who they are—their shape, their class, their family, their brand of love or crazy—makes them far more complicated and far more useful than the world will allow. They are brave and terrified, isolated and enveloped, they are dead and bleed to live. And all of them, each and every girl and woman here, seems to stand with hands on hips, defiant in that knowledge, even perhaps eating it up. 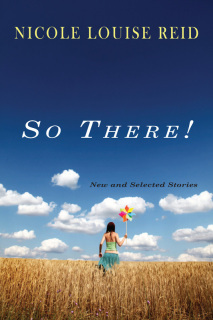 "The stories in Nicole Louise Reid’s collection, So There! are both sensual and heady. Featuring touches of magical realism – one character finds herself inhabited by a cicada – they are as disturbing and funny as they are beautiful. Populated by a vivid, engaging group of girls and women navigating their way through the murky waters of sexuality and relationships, Reid’s stories take us beneath the surface of those waters before showing us the resuscitating possibility of love. These are truly magnificent stories." "I loved the swollen, eerily overripe quality of these stories. They are suffused with the passions of their characters—the lusts they haven’t yet acted on, the mistakes they haven’t yet made. Reid writes beautifully about lives caught in a kind of suspended and sometimes metaphorical adolescence." "With something of Eudora Welty's fierce commitment to place, Barry Hannah's oddly poetic prose, and Alice Munro's bewitching unpredictability, Nicole Louise Reid obliges us to inhabit characters, most often girls and women, who know too much about the world and understand too little of it. So There! is a life-soaked collection of fictions told at once slant and straight on. No safety nets here. No coyness about the dread that haunts, about the betimes cold calculus of love, about the failing beliefs in hand-me-down lies. Here, Ms. Reid has taken a switchblade to the conventions of feeling and form, bringing light and heat and sound to the world of the page." "Here's something increasingly rare: a truly original voice. Eccentric, lyrically written, these hard-luck stories of love and loss burrow into the strange, gothic corners of the world. Nicole Louise Reid has written a haunting collection." "There’s hardly much to see in Peru these days, is there?”—this line, delivered by a woman so jealous of her daughter-in-law that she can scarcely spit, is one of my favorite lines in all of literature, and it is typical of Nicole Louise Reid’s off-hand humor, grace, and economy. Her new book is a delightful collection of stories about people like this mother-in-law: hot-blooded, sweet-hearted people who give too much, take too little, long for all they’ve lost, would lose it again in a heart-beat, and will never see Peru." "It's the emotional life that counts in these stunningly original stories. And it's mostly the planetary emotions circling round the hot, dangerous, ever-present sun of sexuality that fuel these narratives. Want to remember what it was really like to be an early adolescent girl or boy? Want to know the murderous desperation of a man whose flirtatious wife draws her vitality from violence? Or, recognize again someone, either gender, any age, who confuses sexual attention with the desire to be valued as a whole, unique person? Each of these compellingly interesting stories is delivered in incandescent prose. "Nicole Louise Reid is one of the most bold and insightful writers on the contemporary scene." "Life and death, love and mysterious affections and attractions, the world of childhood and the world of work—all this and more comes under scrutiny in these carefully made stories, carefully made with the playful seriousness of a real artist. The most important thing I can say about this collection is that in our world of myriad distractions and bits and bites of sound and language and sights and sites, it is worth your sustained attention." Buy a signed copy of the book directly from me and indicate in "Note to Seller" section to whom (your name or someone else's?) I should sign the book. So There! is distributed through the Texas A&M University Press Consortium.